Rotary system is the best choice for economic and space constraint solution. By applying up-rotate-down movement to all hanger arms, rotary system can be designed for both dipping and spraying treatment type without using complicated programming. 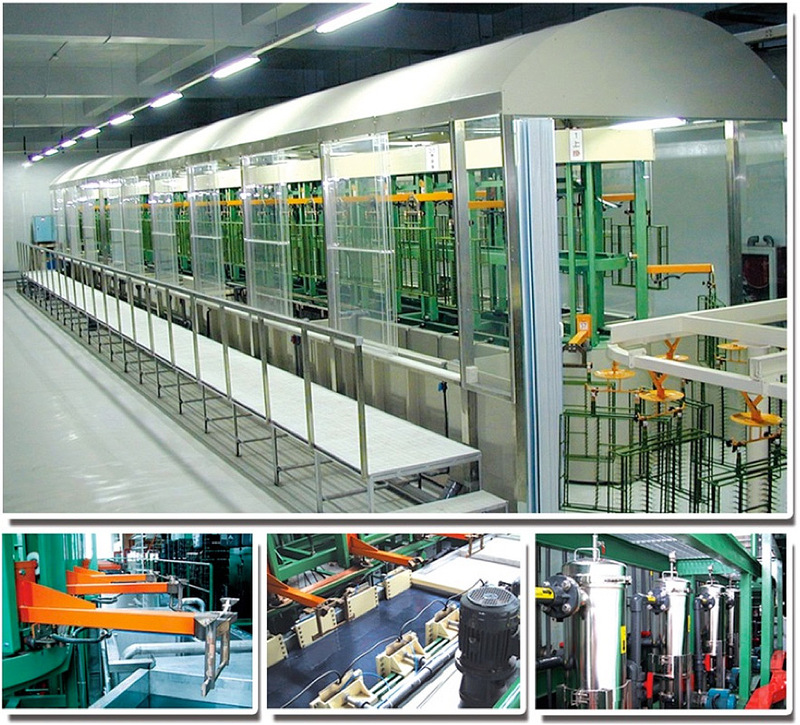 The system can also be supported by auxiliary conveyor chain system as a feeder and conveying the articles into the curing oven as the post treatment.